The Atkinson Graduate School of Management has two distinct MBA programs that cover students from early career to those looking to grow professionally while working. Full-time, in-person program based in Salem, OR. One of two programs in the world accredited by both AACSB International and NASPAA. Prepares students for careers in business, government or not-for-profit management. Consistently ranked the top MBA program in Oregon and one of the best in the Pacific Northwest. Highly experiential and hands-on curriculum developed by a unique collection of world-class faculty. This program is available as a dual degree JD/MBA or BA/MBA. Part-time evening MBA program with classes in either Salem or Portland, OR. Designed for working professionals with classes two evenings per week and completed in 24 months. 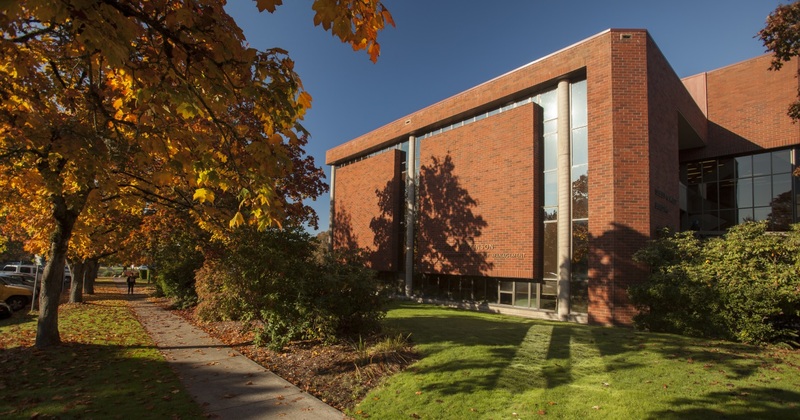 Accredited by AACSB, this is the most popular executive-style MBA in Oregon. We take care of the details — like dinner each night you have class — so you can focus on learning. We also have incredibly dedicated and personable Early Career and MBA for Professionals teams that can answer questions.